Does Your Horse Suffer from Laminitis? Any one of the above can be an early warning sign of laminitis. Laminitis is a very painful condition, and if left untreated, it can become VERY SERIOUS! That’s why it’s important to catch it in its early stages, and treat it ASAP. Be on the lookout for the early warning signs of laminitis, and If you suspect your horse has laminitis, contact your veterinarian immediately! Founder is the cause of many hoof problems, and founder starts with laminitis. 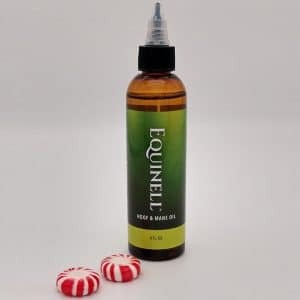 Equinell™ Hoof and Mane Oil cannot help a horse in acute founder. However, after he has recovered and well rested, his feet will be damaged, and hoof infections are very likely. This is where Equinell™ can help! We recommend that you start Equinell™ Hoof and Mane Oil at his first post-founder trimming. If his feet were healthy before, apply once per month. But if he had problems to begin with, do weekly applications, until the damage has grown out. Try Equinell™ – RISK FREE! Use Equinell™ on YOUR horse. 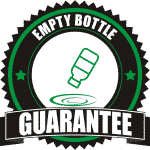 We’re confident that Equinell™ Hoof and Mane Oil will work better than anything you’ve ever tried… so confident that we offer a FULL MONEY BACK GUARANTEE with return of any unused portion.